On Monday morning, Scott, Steve and I put the boat in across from the house and trolled up the river pulling crankbaits along the weed line hoping to catch a pike or smallmouth. We didn’t have a strike, so we moved out and anchored up in the middle of the river. 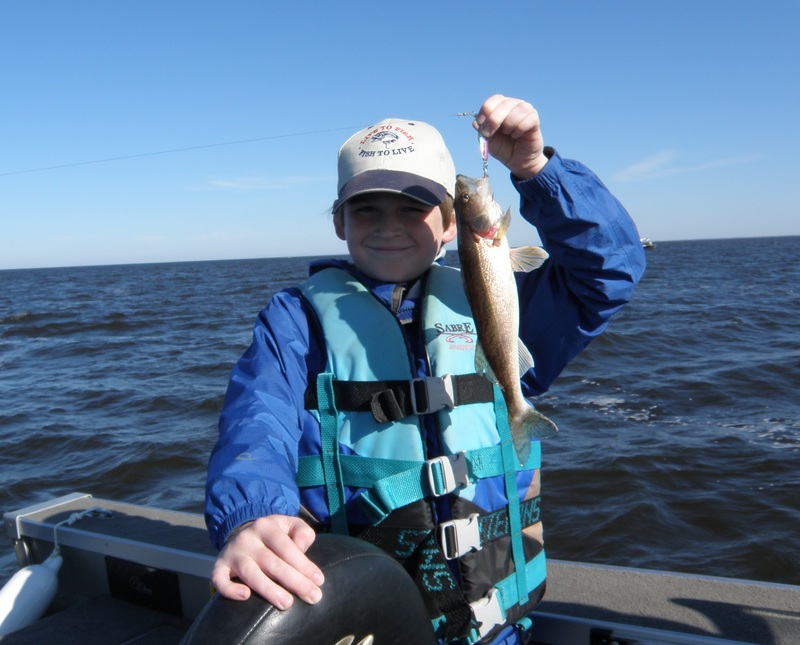 The most excitement we had was feeding a couple of seagulls as Scott caught the only fish; a little sauger. After lunch we went for a 4-wheeler ride and a walk out to the deer stands with hopes of seeing a ruffed grouse. We did see one in the little field, but he was spooky and flew before we could get close. Tuesday was supposed to be the nicest day of the week, so we put the boat in late morning and headed downriver to the Lake. We pulled crankbaits along Pine Island for a short time and got nothing. 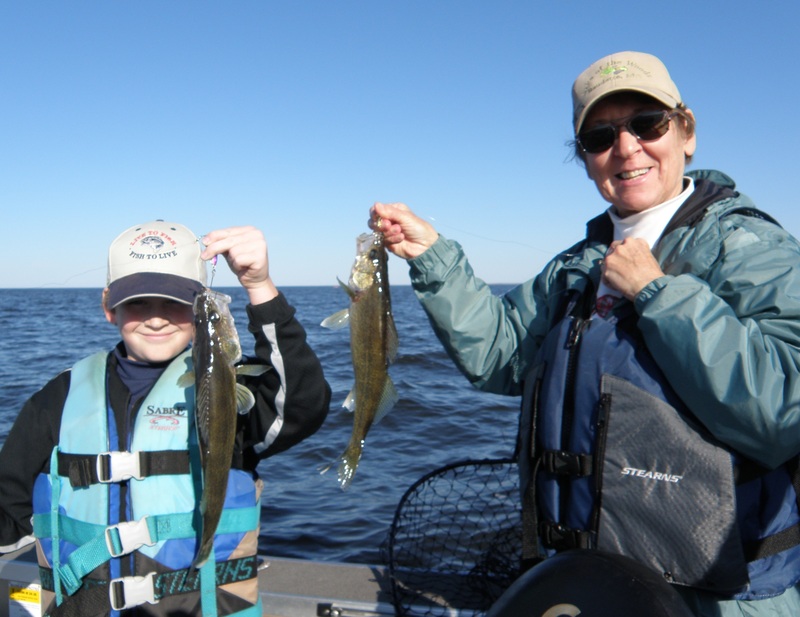 We anchored up in 22′ of water and caught a walleye and two saugers; nothing fast. We then went to shore, had lunch and skipped a few rocks. Back to the Lake; we anchored up in 24′ in front of the Morris Point Wash Out for a short time and got nothing. Pulled anchor; went to 26′ and that was the spot. Action was steady and we ended up with 11 nice walleyes and 7 saugers and must have released at least that many. Scott and Diane had the hot baits although Steve and I were not completely shut out. The weather and fishing made for a great day.